The increase in the delayed accounting of some iPhone, iPad and Mac revenues will give Apple's fiscal Q1 2014 the appearance of flat revenues, despite being a holiday quarter. Apple will still be collecting the cash; the change only applies to the company's accounting of those funds. Since the release of the original iPhone, Apple has delayed recognition of a portion of its sales receipts over a two year period, intended to comply with U.S. rules that do not allow companies to book revenue for products until they are fully delivered. Because Apple made it a priority to keep adding new features and functionality to the iPhone after the sale, it delayed a portion of its income to enable it to offer iOS updates for free, a "subscription accounting" program that it extended to the Mac in 2011. This initially created the appearance that Apple wasn't earning as much as it actually was, due to the fact the billions of dollars were being stashed away for later recognition. With the move to make iLife and iWork apps free along with iOS and OS X updates, the amount of collected revenue Apple will delay officially counting is increasing by almost another $1 billion in the next quarter alone. 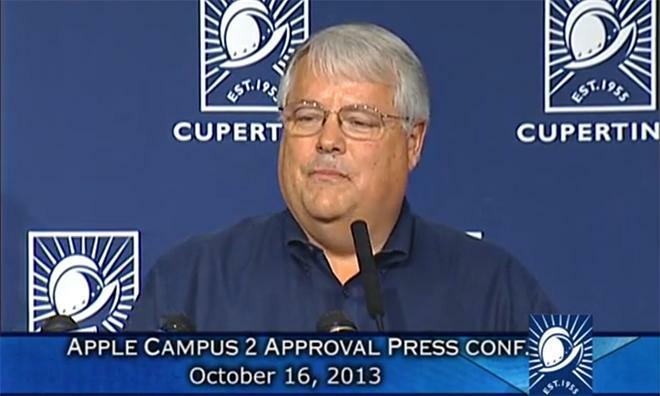 Apple's chief financial officer Peter Oppenheimer (pictured above speaking about the Apple Campus 2 project) said the company would defer between $15 and $25 per iPhone or iPad sold, an increase of as much as $5 per device more than it already is. He added that Mac deferred revenues were also being increased from around $25 to $40, an increase of around $20. Combined with the expected increase in unit sales in the December quarter, Oppenheimer said Apple expects to defer about $900 million more than it did in the September quarter. As a result, while Apple will be sitting on the cash, it won't count toward the company's reported margins or earnings. That deferred revenue will then trickle back into Apple's reported revenues over a two year period for iOS devices, or over a four year period on Mac sales, benefitting the company's earnings and margins over the future at the expense of the immediate quarter. Oppenheimer emphasized "we're really happy to be guiding gross margins flat not only because of the deferred accounting but also in addition to all of the new products that we've introduced with higher cost structures and lower prices," a reference to lower priced MacBook Pros, a discounted iPad mini and a range of new products that are more expensive to build than those they replaced. In addition to preparing analysts and investors for an apparent (but illusory) lack of growth reflected in the next quarter's reported financial performance, Apple's expanded revenue deferral will have a slight smoothing effect on the seasonal nature of Apple's sales, spreading more of the company's peak quarters' revenue across the rest of the year. Additionally, the fact that Apple's OS and iApps are now free will add differentiated value to the company's hardware offerings, which are often only compared with their competitors in terms of price and hardware specs, despite vast differences in the quality of apps available and the resulting usage patterns of buyers.